Due to the use of 100% natural zebra wood as a material, there may be some spots on the wood, this is not a quality problem. The watches are produced in batches, and the natural colors are slightly different from each other, the watches may have some color difference. 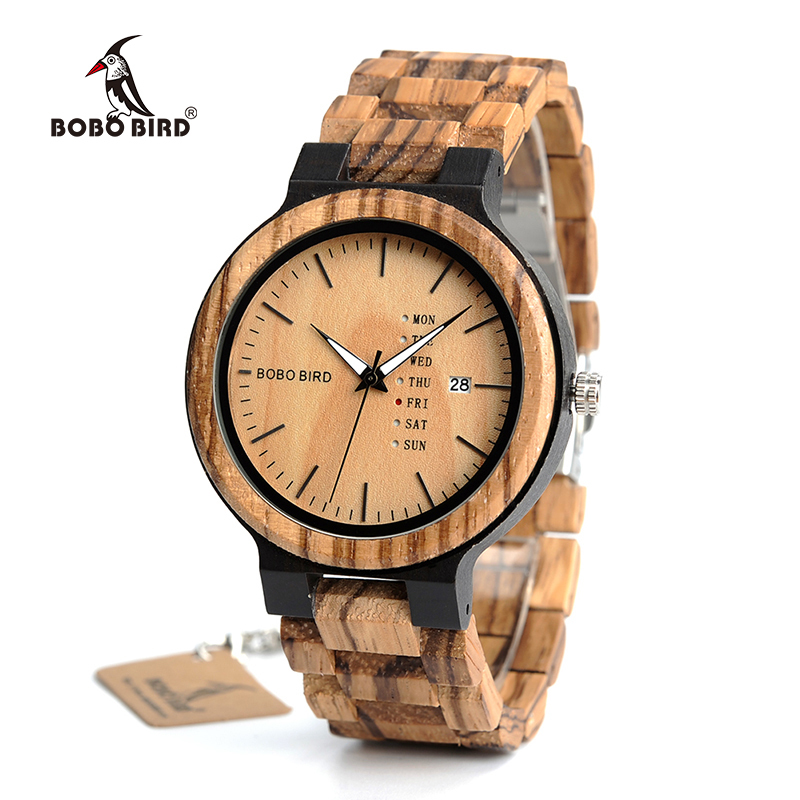 1 X BOBO BIRD Original Paper Watch Gift Box ,1 remove link tool etc. 1. If the watch is too big for your wrist, you can take one or two joints out of the strap with the remove link tool. the wood would react poorly to water.